Aerial photograph of the Sunset Hills property as seen from the southwest. The portion purchased by Robert E. Simon, Jr's company to build Reston has been outlined in a heavy white line. 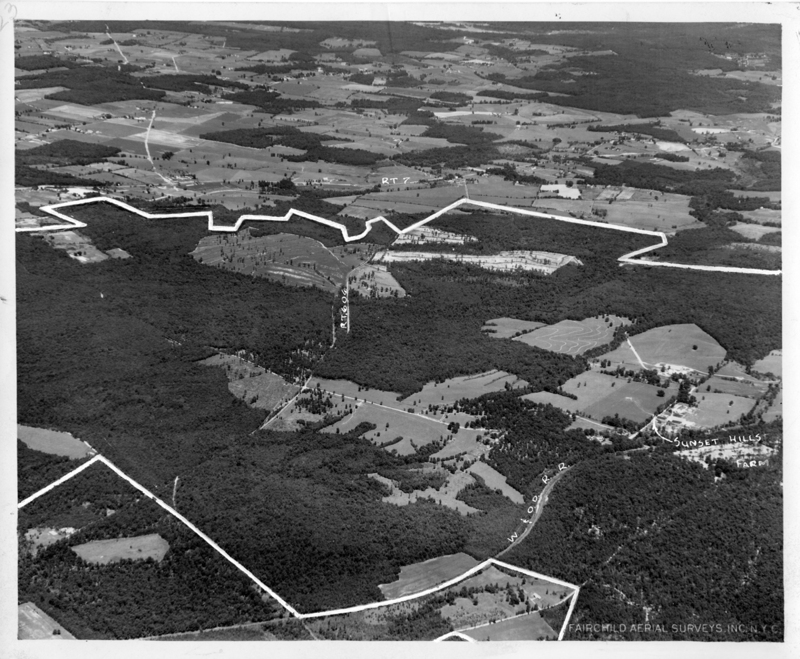 Labelled in this photograph are: the Washington and Old Dominion Railroad, Sunset Hills Farm, Rte. 606 (Baron Cameron Avenue), and Rte 7 (Leesburg Pike). 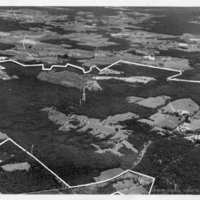 Fairchild Aerial Surveys, Inc., “Sunset Hills property, looking northeast,” Reston@50, accessed April 18, 2019, http://reston50.gmu.edu/items/show/83.